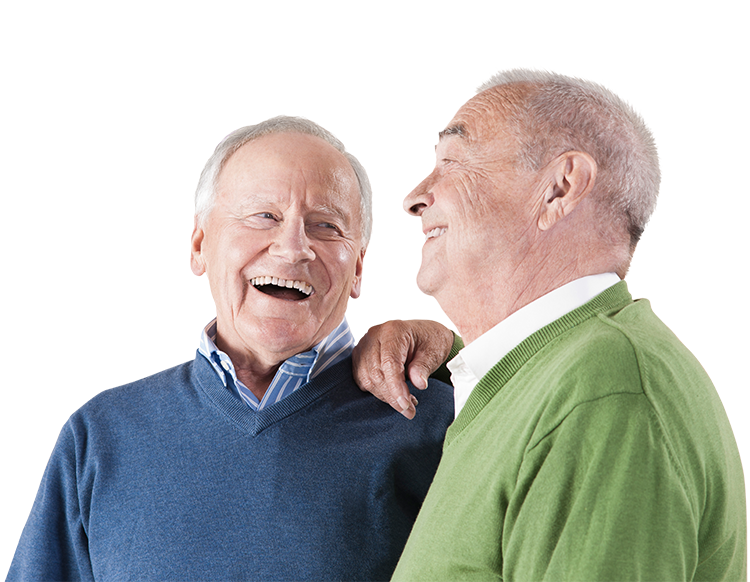 A flexible premium, deferred, fixed indexed annuity. We give you a bonus to your account that vests over a certain number of years. You can choose from several options for earning interest on your premium: one fixed interest option (with a guaranteed rate) and additional options tied to market indexes. Any growth of your savings is tax-deferred (you pay taxes only when you make withdrawals or receive income in the future). You have the option of guaranteed income for life. You’ll have full access to your account for unexpected health care costs, namely qualifying nursing or home health care, or in the event of terminal illness. This benefit applies to conditions that arise one year or more after the contract begins. From day one you have death benefits for peace of mind. You may withdraw your money at any time. You’ll have penalty-free access to 10% of the vested account value in years 2 or later. Subject to state availability. Certain restrictions may apply. Contracts issued by Fidelity & Guaranty Life Insurance Company, Des Moines, IA. Fidelity & Guaranty Life Insurance Company offers a diverse portfolio of fixed and indexed interest annuities and optional additional features. Before purchasing, consider your financial situation and alternatives available to you. Your Fidelity & Guaranty Life Insurance Company financial professional can help you determine the best alternatives for your goals and needs. Optional provisions and riders may have limitations, restrictions and additional charges. The "S&P 500 Index" is a product of S&P Dow Jones Indices LLC, a division of S&P Global, or its affiliates (“SPDJI”) and has been licensed for use by Fidelity & Guaranty Life Insurance Company. Standard & Poor’s® and S&P® are registered trademarks of Standard & Poor’s Financial Services LLC, a division of S&P Global (“S&P”); Dow Jones® is a registered trademark of Dow Jones Trademark Holdings LLC (“Dow Jones”); These trademarks have been licensed for use by SPDJI and sublicensed for certain purposes by Fidelity & Guaranty Life Insurance Company. These Annuities and Life Insurance products are not sponsored, endorsed, sold or promoted by SPDJI, Dow Jones, S&P, their respective affiliates, and none of such parties make any representation regarding the advisability of investing in such product(s) nor do they have any liability for any errors, omissions, or interruptions of the S&P 500 Index. Barclays Bank PLC and its affiliates (“Barclays”) is not the issuer or producer of Fixed Indexed Annuities and Barclays has no responsibilities, obligations or duties to contract owners of Fixed Indexed Annuities. The Index is a trademark owned by Barclays Bank PLC and licensed for use by Fidelity & Guaranty Life Insurance Company as the Issuer of Fixed Indexed Annuities. While Fidelity & Guaranty Life Insurance Company as Issuer of Fixed Indexed Annuities may for itself execute transaction(s) with Barclays in or relating to the Index in connection with Fixed Indexed Annuities. Contract owners acquire Fixed Indexed Annuities from Fidelity & Guaranty Life Insurance Company and contract owners neither acquire any interest in Index nor enter into any relationship of any kind whatsoever with Barclays upon making an investment in Fixed Indexed Annuities. The Fixed Indexed Annuities are not sponsored, endorsed, sold or promoted by Barclays and Barclays makes no representation regarding the advisability of the Fixed Indexed Annuities or use of the Index or any data included therein. Barclays shall not be liable in any way to the Issuer, contract owners or to other third parties in respect of the use or accuracy of the Index or any data included therein. Volatility control seeks to provide smoother returns and mitigate sharp market fluctuations. While this type of strategy can lessen the impact of market downturns, it can also lessen the impact of market upturns, potentially limiting upside potential. Ice Benchmark Administration Limited makes no warranty, express or implied, either as to the results to be obtained from the use of the LBMA gold price and/or the figure at which the LBMA gold price stands at any particular time on any particular day or otherwise. Ice Benchmark Administration makes no express or implied warranties of merchantability or fitness for a particular purpose for use with respect to this annuity product. Precious Metals Limited owns the “LBMA gold price” trade mark. It is important to note that when the declared participation rate is greater than 100% and the index change percentage at the end of the index term period is 0 or negative, no index interest credits will be applied to the account value. Please see the Statement of Understanding for a detailed explanation. 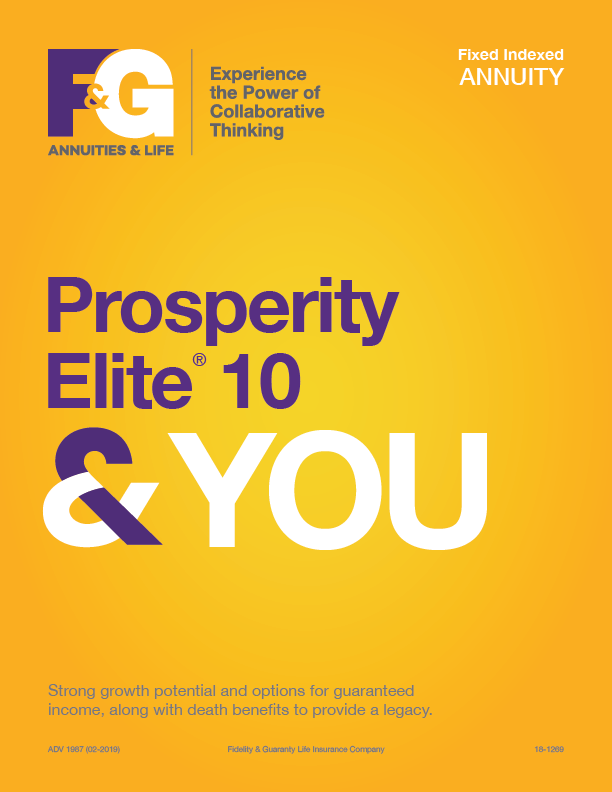 Download our product brochures to learn more about Prosperity Elite series. We’ll collaborate, co-create and act as partners in your prosperity.